Colfax Intergenerational Program Will Warm You Right Up! I've tried to forswear Facebook for my own happiness, but I can't quite give it up because sometimes I find something on Facebook that makes me feel better about the world. And last week, I found some posts about a project youth services librarian Jolene Albricht is doing in Colfax that made me happy and excited. I hope you are similarly inspired! 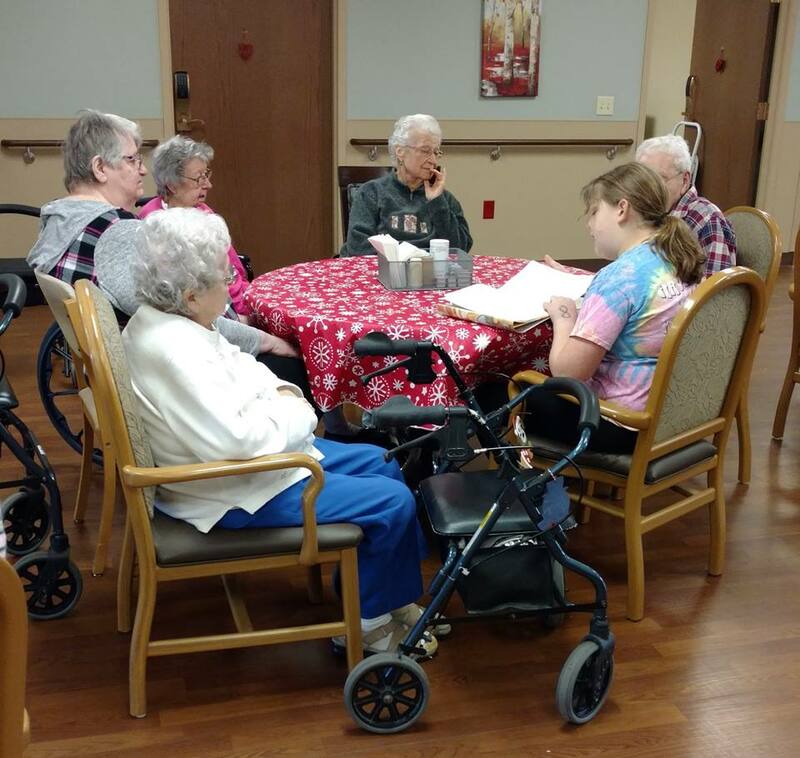 Jolene's daughter works at the assisted living/nursing home facility in Colfax, and she was talking to her mom about the lonely folks who don't get many visitors. Jolene contacted the Activity Director and came up with a plan, then she found four kids (ages 8-11) who were interested in visiting the residence to read with seniors. The library supplied the books and prepared the kids for what would happen, including preparing them for seniors who might doze off while being read to. 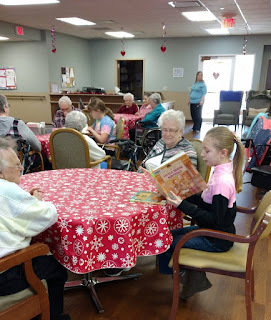 The kids read with small groups of 3-5 residents. Most read picture books, but the oldest child read several chapters of a fiction book. Then the group shared a snack (prepared by the staff at the residence) and spent some time working on puzzles together. Jolene treated the kids to pizza afterwards. As you can see, both kids and adults had a terrific time. Jolene said she'd be hard-pressed to figure out which group was having a better time or got more out of it. This is going to be a monthly activity in Colfax. They're doing their program on Saturdays, when kids have time and the facility doesn't have quite as full of a slate of activities. What could be better? 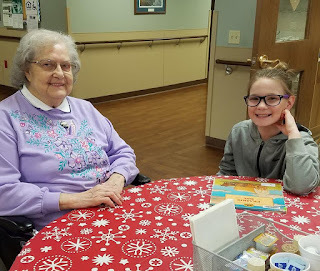 Giving kids and seniors a chance to make meaningful connections. Allowing kids the chance to make a difference in their community in a real and definite way. Giving kids practice in reading to an appreciative audience. All the good things! !